It is unanimously understood that in business, everything is constantly evolving. New and old businesses come and go, product launches boom and bust, and marketing trends skyrocket then plummet. It seems no matter what the next big step is in business marketing success, there’s always one more to take. Regardless of the marketing approach a business takes, one thing that remains consistent is customer engagement. In such a volatile economy jam-packed with the latest technology, fastest streaming services, and on-demand products, engaging with customers should be a simple walk in the park; however, in this day in age, that engagement goes well beyond the transaction process. Customer engagement is a hot topic for both practitioners and researchers alike. In an increasing digitally connected world, there is a rising number of touchpoints between consumers and companies as well among consumers. Referrals, reviews, and beta-testing are all traditional forms of getting your customers involved on a more personal level, but no matter how effective these methods can be, most of them lack uniqueness and only offer a limited experience into your company. Consumers are constantly being tagged by businesses with feedback surveys and referral incentives, but the truth is most of these requests end up being ignored. By creating unique and memorable digital experiences, it is possible to develop productive and profitable relationships with customers. “People connect with people, not brands,” says Kim Garst on Post Planner. If your engagement with consumers is strictly one-sided, self-promoting advertisements, users will have no premise to form a relationship with your brand. When users feel a connection with a brand, they begin to spark emotional interest and familiarity in what you’re offering them. Knowing users’ wants, desires and ultimately their emotions provides an opportunity for engagement, and engagement only grows when users are confident that businesses actually care about their well-being and meet their expectations. Crafting a unique experience for your customers is an essential part to building a relationship. Identifying what users are engaging with, fostering collaboration, and storytelling are all ways to get to know your customer and provide a memorable experience for them to connect with your brand. By creating unique and memorable digital experiences, it is possible to develop productive and profitable relationships with customers. Essentially, businesses will measure engagement in different ways based on enterprise objectives. Regardless of how an enterprise defines and plans to increase engagement among its users, one thing should be certain – it is essential to success. “People connect with people, not brands,” says Kim Garst on Post Planner. 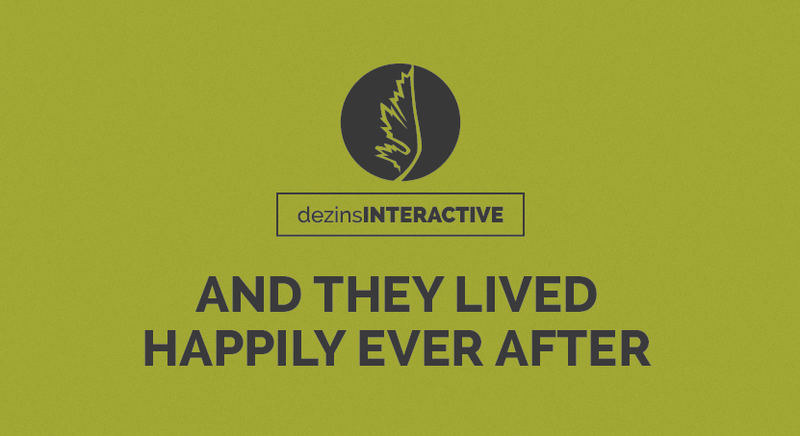 Every brand has a story, and at dezinsINTERACTIVE, we believe everyone should have a chance to share that story. From social media to branding and design, digital marketing is a great way to connect with customers and create that unique experience. Call us today (225) 615-8358 or visit us at https://dezinsinteractive.com/ and find out how we can help tell your story.